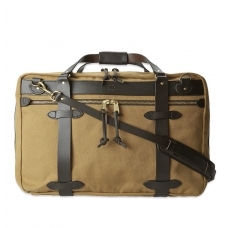 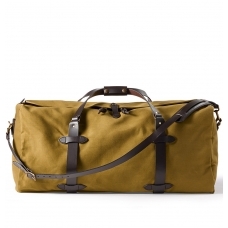 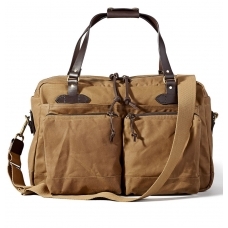 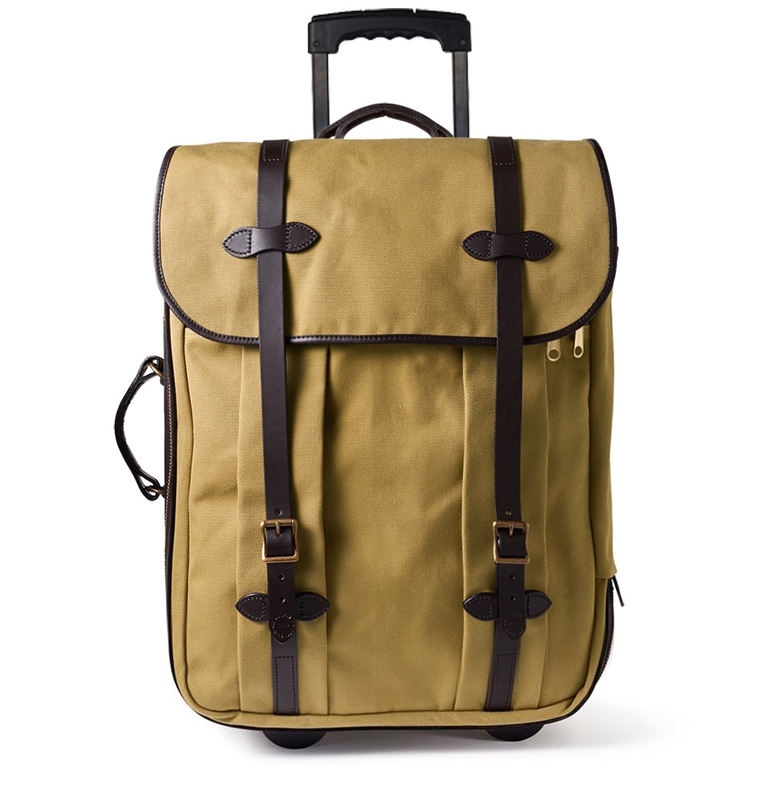 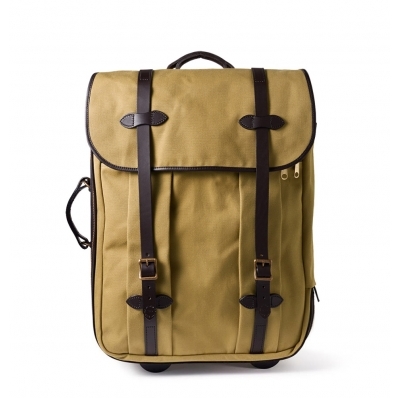 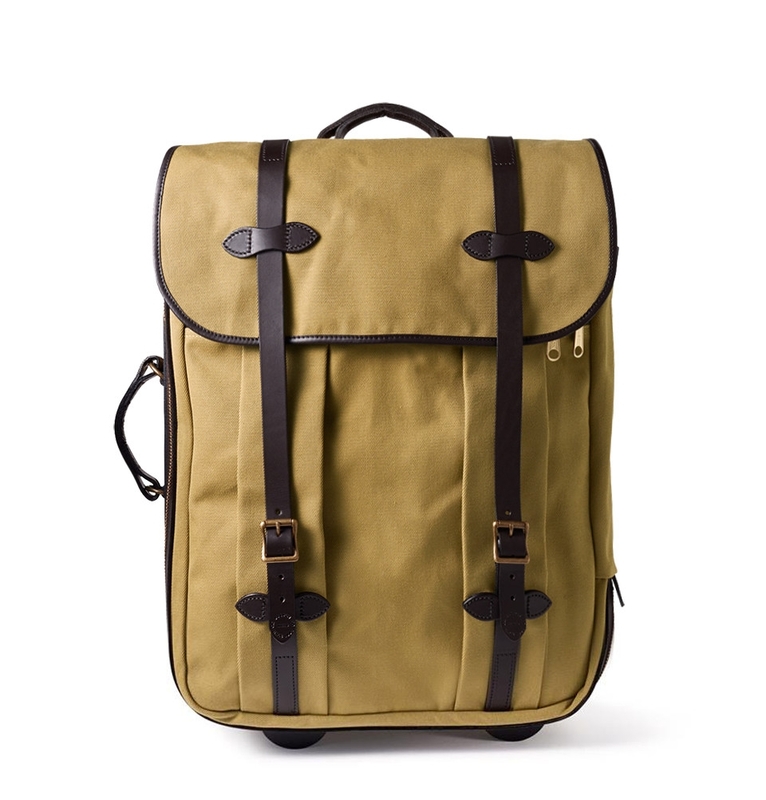 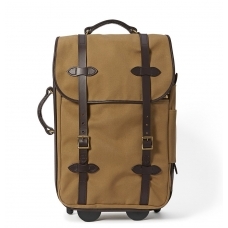 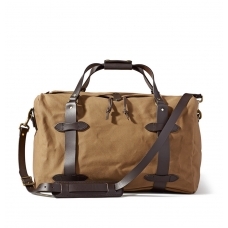 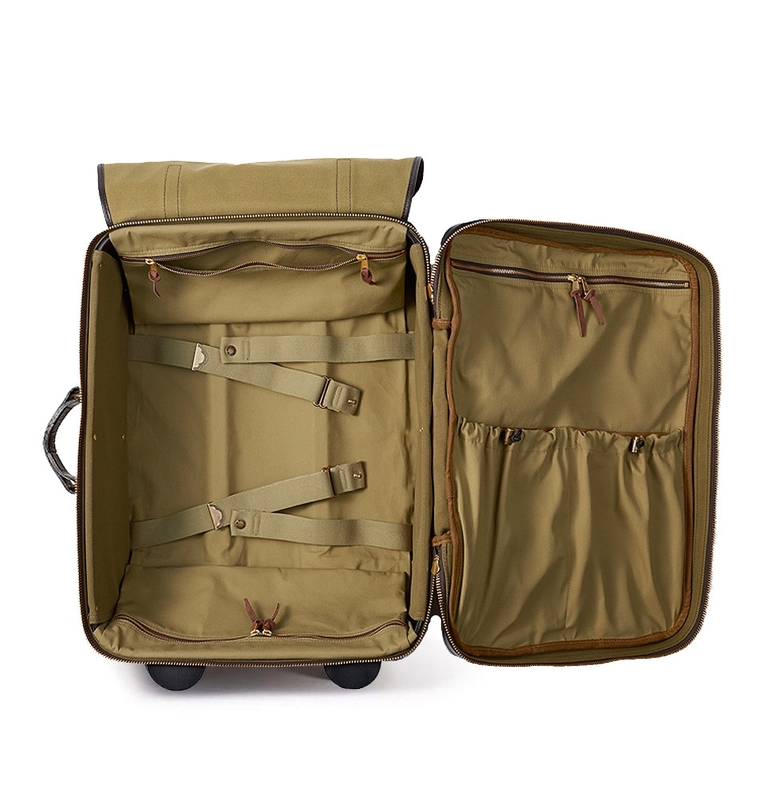 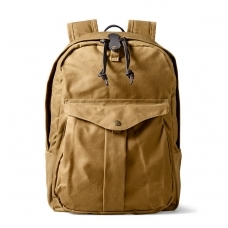 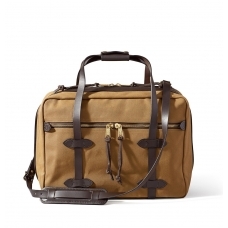 FILSON RUGGED TWILL ROLLING CHECK-IN BAG TAN, created for travel in style. 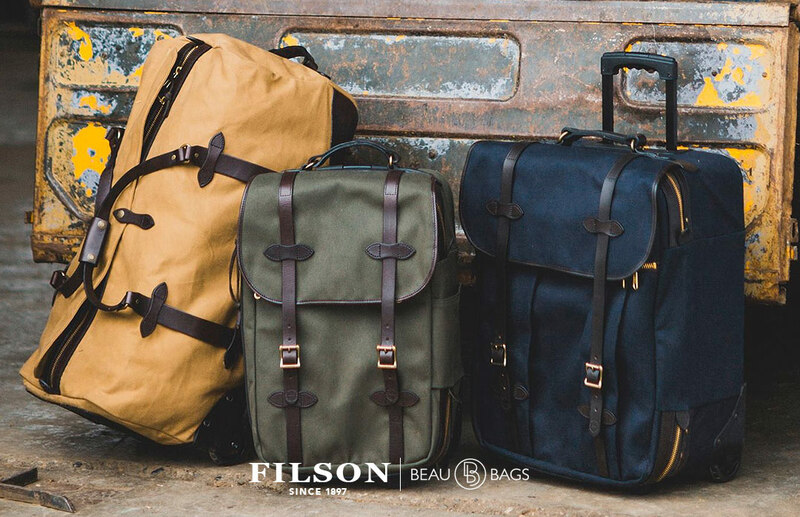 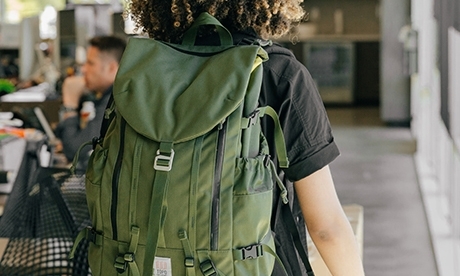 This water-repellent wheeled Filson Rugged Twill Rolling Check-In Bag has Bridle Leather reinforcements for added durability and protection from scuffing. 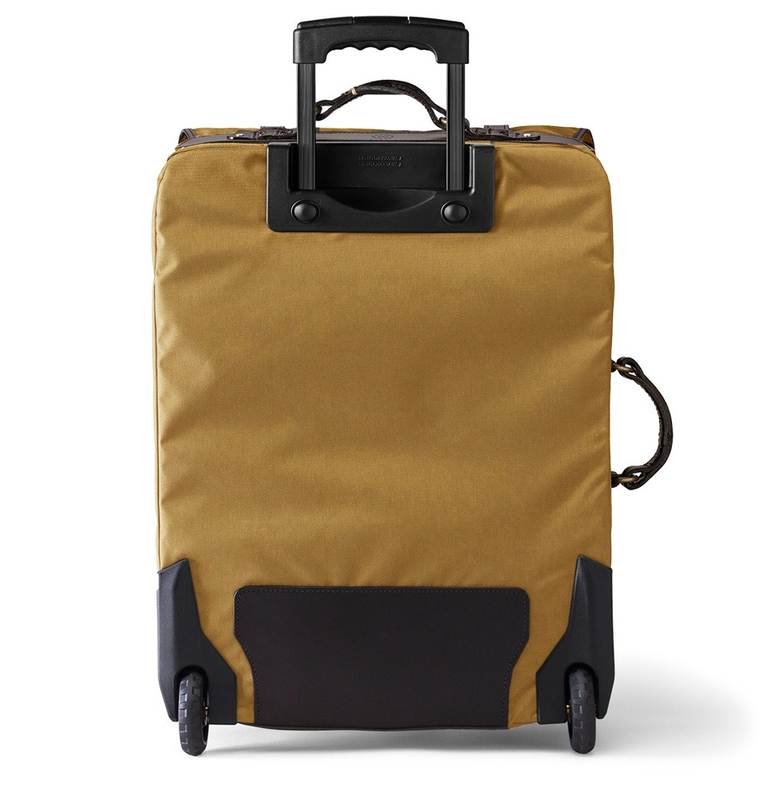 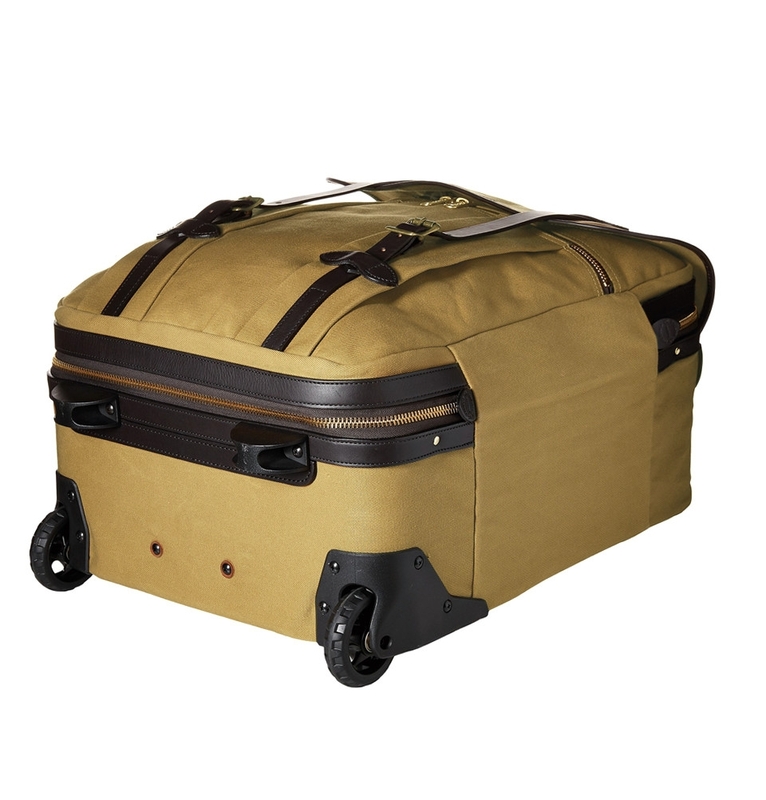 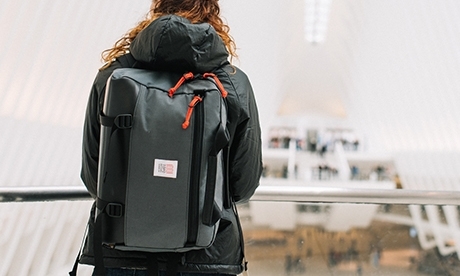 The wide wheel base provides stability over uneven terrain, and interior elastic straps secure packed items during travel. 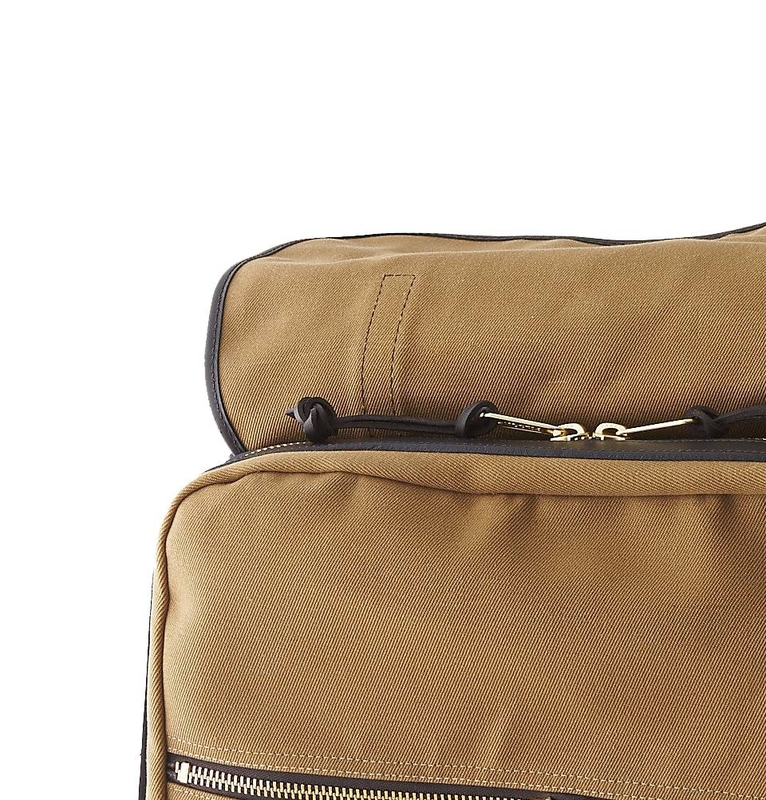 The interior is fully lined for added protection. 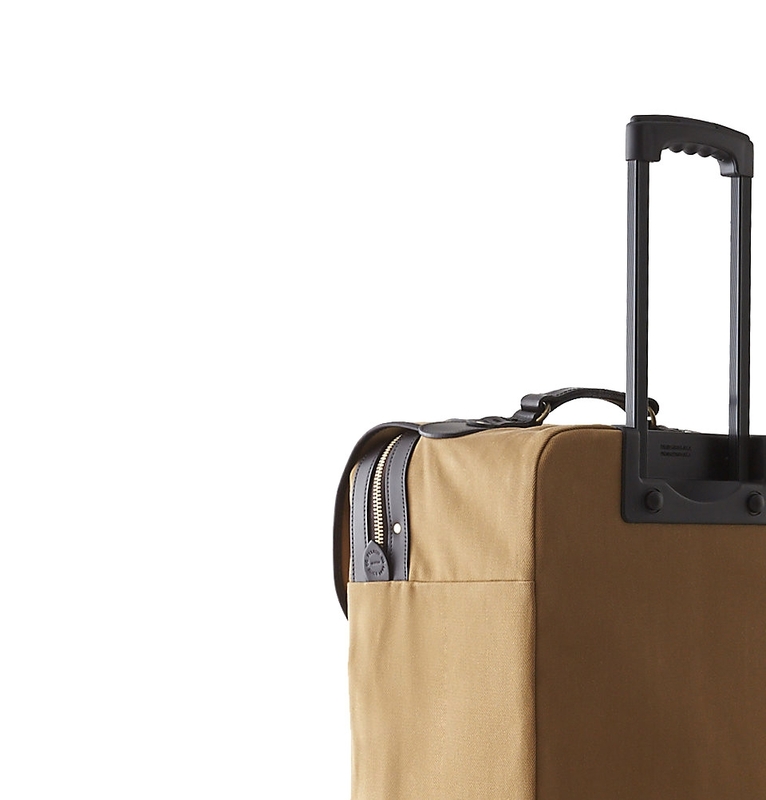 Molded plastic feet keep this bag upright. 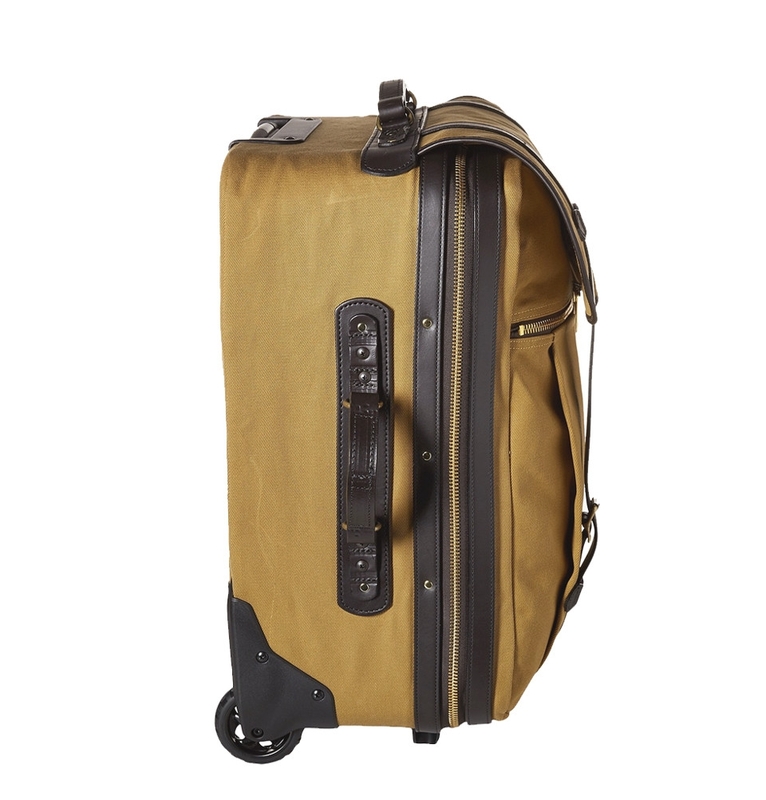 >Retractable handle extends to 20"